Choose an Award-Winning Subscription Designed by Parents and Educators for Curious Kids. 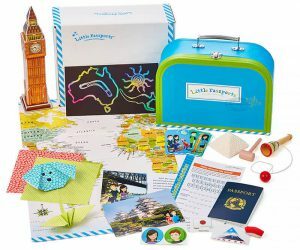 Visit www.littlepassports.com/reading for Creative & Fun Ways for Your Kids to Explore the World! Happy Tuesday to all the STEM book lovers out there! We have a very special episode for you today. Author Jennifer Swanson is back on the Reading with Your Kids Podcast to share fantastic resources that will inspire your kids’ curiosity about Science & Technology. Today in REading with Your Kids STEM Tuesday episode, we take a look at pairs of books that focus on the same subject or theme. Readers can compare and contrast how authors have each approached these fascinating stories to craft their nonfiction middle grade books. In some cases, authors have taken a different approach in the organization and in others a different point of view. Reading both will provide more details and information on each topic, and also show that all authors find their own way into each story. Our second guest is author Dennis Low. 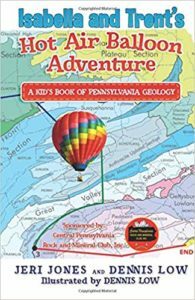 Dennis was kind enough to answer a few questions about his new book “Isabella and Trent’s Hot Air Balloon Adventure: A Kids Geology Book of Pennsylvania.” Dennis talks about co-authoring this book with author Jeri Jones and how their book is an excellent way to teach children about geology and PA historical events related to geology. Award-winning author Jennifer Swanson’s love of science began when she started a science club in her garage at the age of 7. 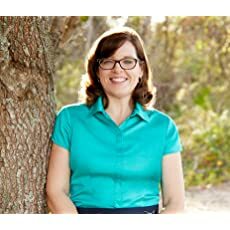 While no longer working from the garage, Jennifer’s passion for science resonates in the fascinating 25+ nonfiction and fiction books she has written for children. Her book, SUPER GEAR: Nanotechnology and Sports Team Up (Charlesbridge) was selected as an NSTA Best STEM book for 2017. Jennifer has received awards from the Pennsylvania TriState Young Adult Review Committee and her books in the “How Things Work” series by The Child’s World were named to the 2012 Booklist’s Top 10 Books for Youth: Series Nonfiction. Top reviews include a starred review in Booklist and recommended reviews from School Librarians Workshop, Library Media Connection, School Library Journal, and the National Science Teacher Association. Jennifer’s new books include releases with National Geographic Kids, Charlesbridge Publishing, and Rosen Publishing. 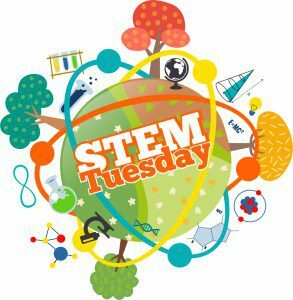 Check out STEM Tuesday blog for STEM books that ENGAGE. EXCITE. and INSPIRE! Join us each week as a group of dedicated STEM authors highlight FUN topics, interesting resources, and make real-life connections to STEM in ways that may surprise you. When Isabella wins first place in a 4-H science fair for her display on local rocks, she wins a multiple-day, once-in-a-lifetime hot air balloon ride across her home state of Pennsylvania. The best news is that she can bring a friend. But neither Isabella nor Trent could have known what adventures await! The book is available through Amazon and direct purchasing from Jeri Jones. STEM Booklist for Pair up. Books that both use narrative and expository plus characters to carry readers through the story. Books that plunge into history and science plus ethical and moral questions. Writing craft and resources available on STEM Tuesday’s website. Jennifer talks about interviewing author Kay Frydenborg, author of CHOCOLATE: Sweet Science & Dark Secrets of the World’s Favorite Treat. Introduction to Dennis’s book Isabella and Trent’s Hot Air Balloon Adventure. Thank you, Jennifer & Dennis, for joining us and for sharing your wonderful insights with us! Read NextSTEM Week Continues with Melissa Stewart! !